TSHA offers several avenues for educational growth and personal benefit. Offerings vary from sign language classes to interpreting workshops to summer camps for children. Are you interested in TSHA’s sign class? 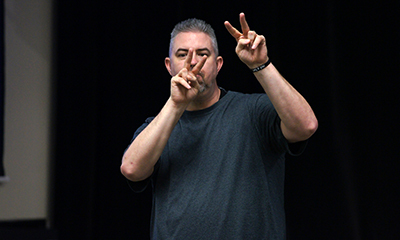 Are you a Deaf adult and interested in attending workshops? Are you an interpreter interested in earning CEU’s? Would you like for your child to attend a deaf/hard of hearing friendly summer camp?